No queuing at the Seal & Go airport desk. Our machines work fully automatic, so our operational staff has some extra time for customers. Our machines also work very fast, 1 sealing takes only 1 minute. 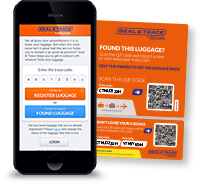 Tests at Amsterdam Airport Schiphol and Doha International Airport showed that using sealed baggage helps protect baggage transportation systems from damages. Sealing has no loose ends which may cause problems. 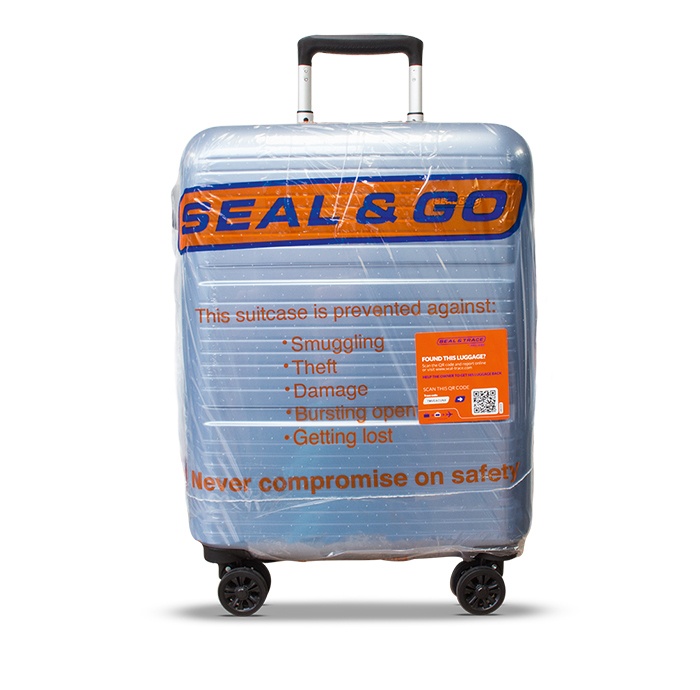 Sealed baggage never caused any problems to baggage transportation systems at the airport. Sealing only needs one layer of shrink foil (approximately 2 meters). Less foil means less trash, less transport weight and fewer raw production materials. We provide a unique advertising possibility: the airport company logo on our sealing foil. Every day hundreds (or even thousands) of pieces of baggage will be sealed with your logo on it, carried around the entire airport of destination and presented on luggage belts. Sealing machines have several counting and control mechanisms (including CCTV), so every sealing is counted and has to be accounted for. Not only our foil is transparent. Our modern-looking machines and innovative technique contributes to the airport appearance. All international airports constantly review on how to improve on safety. For passengers safety is, of course, also an important issue. Unfortunately nowadays passengers do not always feel as safe as they should or could. We believe that our services can make a difference.